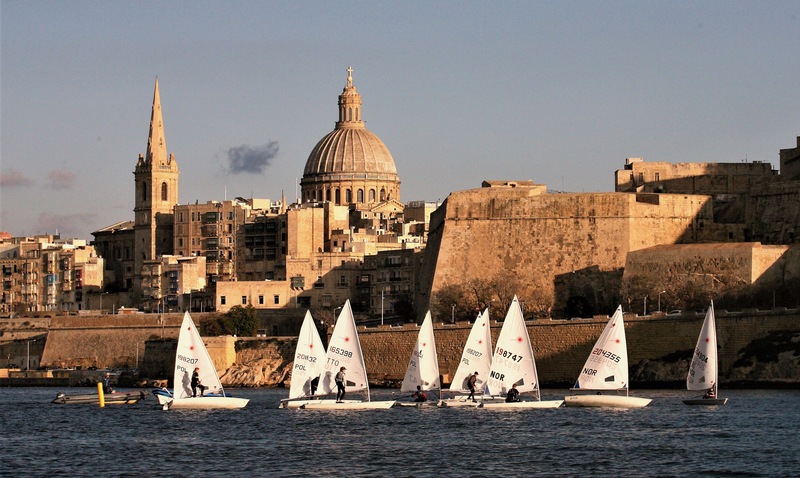 SailCoach would advise this Tour only for sailors who have a number of big European regattas under their belt. The standard is very high and if not fully prepared the racing could be anything but enjoyable. Arrive into Amsterdam’s Schipol Airport and be met by one of the SailCoach staff. It is about 1.5 hours to the training location and the regatta site. Because of the traffic in and around Amsterdam is very heavy in the mornings therefore please consider arriving after 10am. SailCoach will be training at the regatta venue for several days prior to the event. This will give our sailors a chance to gain some valuable knowledge on the area and to get to know our coaches, a big advantage when racing begins. The start of the Laser racing at Delta Lloyd Regatta. This is the other big regatta that everyone wants to win as it is the second of two five star EUROSAF European Sailing Cup regattas. A good week here will give you bags of confidence along with the experience to go on and compete at any regatta. The SailCoach experienced coaching staff will give you all the support you need on and off the water to help you reach your full potential. (the night of the 25th or morning of the 26th May (not before 10:30am). A member of the SailCoach staff will drop you off at the Schipol International Airport for your journey home, hopefully with a few prizes. If you would like to fly home on the Sunday evening please ask us about this when you make your booking. This package includes accommodation in self catering apartment, and our World Class Coaching. Other than this you will need to budget for food, pocket money and entry fees.